Editors’ note: A shorter version of this article, originally ran in Counterpunch. Greenhouse gases cause climate change. The science is unequivocal. Temperatures are increasing in the lower level of the atmosphere and cooling in the outer atmosphere. Night temperatures are rising more than day temperatures, winter temperatures are rising more rapidly than summer temperatures, and there is a greater increase in temperatures at high latitudes than at the equator. All of those effects are the result of greenhouse gases and the opposite of what you would expect if our warming were caused by a natural event, like an increase in energy from the sun. Human numbers now exceed 7 billion. More than 40% of all ice-free land on Earth is used for human food production, and 72% of that land produces goods and resources used by humans. Although we are one species out of at least 10 million, we use 40% of the terrestrial productivity and half of the fresh water. As our numbers and consumption grow, there will be little habitat, productivity, and water left for other life forms. By 2050, there may be 10 billion people. Because of more people, and changing diets (more meat), we will need to double the amount of land in agriculture to feed this number — to 80%. Our demands for water, not just for drinking, but also for food production and consumer products, will skyrocket. What if we double our efforts to feed ourselves? 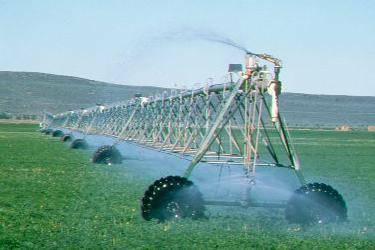 Agriculture now accounts for 70% of our water use. Even as climate change reduces the amount of water available to us, food production contributes about 30% of the atmospheric carbon load. The irony is that we depend on climate stability for human food production, but in the act of producing more and more food we are destabilizing climate. Climate change will affect both amounts and distribution of future precipitation. 800,000 years ago, CO2 levels reached 408 ppm. Earth survived. But, 800,000 years ago we didn’t need to rely on agriculture to feed 7 – 10 billion people. Unless we come to grips with this, the results will not be pretty. We have a global economy driven by fossil fuels. Whoever controls the energy controls the power. That drives the politics of denial. Climate change is real. The science is solid. The scientific definition of objectivity is whether a result is repeatable, meaning someone else can duplicate your experiment and reach the same results. Some criticize scientists who opine about results, saying this is not objective behavior. But as long as the results are repeatable, who better to discuss the results than someone who knows science? Doing science doesn’t mean you should say nothing. If your results are solid, you owe it to society to make them known. Saying nothing is a position that supports the status quo. Despite some politicians’ flat out denial that our climate is warming, the scientific evidence is clear, and includes over a thousand years’ worth of data in tree rings, sediment cores, ice cores, corals, and historical records. The retreat of glaciers and polar ice during the 20th Century is well-quantified, and in the case of glaciers, is visible to the naked eye. Along with lab experiments and 160 years of temperature records, the case for warming is undeniable. A second political argument recognizes a changing climate, but does not ascribe that change to human causes. The evidence used to deny human implication in climate change is the natural changes of the past, such as the 17 major ice ages and warming periods during the Pleistocene. In light of those past natural changes, let’s consider natural triggers for changing climate. Every 3 to 7 years there are El Niño events. Every decade or so there is a sunspot cycle; and every 75 years or so, there is an effect that modulates those sunspot cycles. The latter can change climate for several hundred years in parts of Earth. An example is the Little Ice Age of Europe between the years 1100 and 1300. Variations in the Earth’s orbit around the sun, called Milankovitch Cycles, likely caused the recent ice ages of the Pleistocene. Most of these natural triggers increase or decrease energy from the sun to force climate change. At present, we see temperature increasing in the lower level of the atmosphere and cooling in the outer atmosphere. We also see night temperatures proportionately rising more than day temperatures, winter temperatures rising more rapidly than summer temperatures, and a greater increase in temperatures at high latitudes than at the equator. All of those effects are the opposite of what you would expect if our warming were caused by an increase in energy from the sun. On the other hand, global carbon dioxide records are the highest they have been in 800,000 years of records taken from ice cores. During those years, CO2 varied between 180 and 190 parts per million (ppm) during global cooling periods and between 270 and 290 ppm during the warm periods. Today, we are at 408 ppm. The CO2 numbers have increased exponentially since the Industrial Revolution. Methane is at the highest level of the last 800,000 years, and methane gas has 20 times the heat trapping ability as CO2. Greenhouse gasses hold the heat, and that accounts for the lower level of the atmosphere warming faster than the outer level of atmosphere, night temperatures rising more than day temperatures, winter temperatures rising more than summer temperatures, and polar temperatures rising more than equatorial temperatures. Most of nature reacts in a non-linear fashion, largely because of positive feedback. For example, higher global temperatures mean that more tundra permafrost melts, which releases more methane. In turn, those higher greenhouse gas levels further increase temperatures, and that melts even more permafrost. Also, rising temperatures melt ice. Because ice reflects heat whereas darker surfaces, like blue water, hold heat, melting ice raises temperatures and that melts more ice. The key is that not only does climate change, it does so at an accelerating, or non-linear, rate. Furthermore, there is about a 30-year lag between greenhouse-gas emissions and the effects that we see today. Although we presently have CO2 levels of 408 ppm, the physical evidence we currently see comes from greenhouse gases around 1985, when levels were about 330 ppm. That makes the belief that we can easily reverse climate change through technology change a fallacy. One of the problems with discussing climate change and water shortages is that those effects are intertwined with other anthropogenic effects. In the last 50 years, the Earth has lost more than 1/3 of its forests, 1/5 of its topsoil, and 1/5 of its agricultural land. The amount of abandoned agricultural land is equal in size to China and India combined. Over that same time-frame the human population has gone from roughly 3 billion to more than 7 billion. In the past century, human numbers have expanded by a factor of 4 and consumption by a factor of 40. Population and consumption are not separate issues. They are linked. Even if there were no inequality, and developed countries consume more than their share, more people on the planet still mean more consumption of nature. More than 40% of all land on Earth is used for human food production; and 72% of the land produces goods and resources used by humans. Rain forests, the lungs of the Earth and critical fixers of carbon, may be nearly gone by 2050 if we continue to harvest at present rates. Those forests contribute immensely to the larger water cycle, but predictions are that climate change will significantly dry the Eastern Amazon. It may change from tropical forest into savannah. Meanwhile, in Saharan Africa, arid grasslands are being converted into non-functional deserts. Loss of grasslands adds still more carbon to the atmosphere. Although we are one species out of at least 10 million, we use 40% of the terrestrial productivity [solar energy converted into biological growth] and half of the fresh water. As our numbers and consumption grow, there will be little habitat left for other life forms. Freshwater is limited on Earth. Of all our existing water, only 2.5% is fresh, and much of that is in glacial and polar ice. Meta-analyses of several hundred investigations showed that lost biological diversity decreased productivity, resilience, nutrient cycling, drought tolerance, options for water management, resistance to pests, and efficiency of ecosystems, while increasing chances of catastrophic disease. Biodiversity plays an important role in the web of life. Its loss will amplify climate change. Even economically, the estimate is that forest ecosystem services contribute up to 3 trillion dollars a year, and the cost of the melting Arctic may be 60 trillion dollars. By 2050, there may well be 10 billion people. Because of more people, and changing diets (more meat), we will need to double the amount of land in agriculture to feed this number — to 80%. Our demands for water, not just for drinking, but also for food production and consumer products, will skyrocket. What if we double our efforts to feed ourselves? 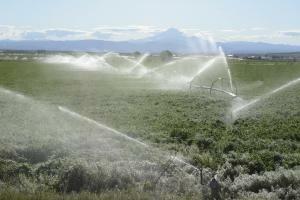 Agriculture now accounts for 70% of our water use. 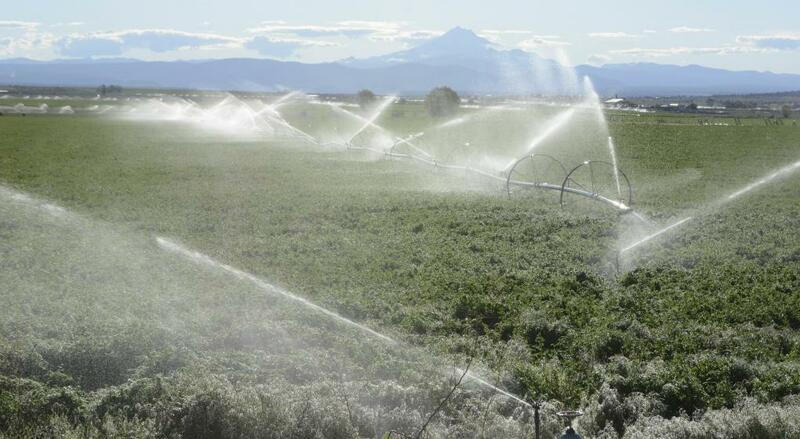 More than 90% of water pumped from the Ogalalla Aquifer is used to irrigate crops. If that aquifer goes dry, and parts of it already have, it will take 6000 years to replenish. In addition, the Ogalalla Aquifer accounts for about 20 billion dollars of food and fiber on the world’s markets. 800,000 years ago, CO2 levels reached 408 ppm. Earth survived. But, 800,000 years ago we didn’t need to rely on agriculture to feed 7 – 10 billion people. The water used for production and transport is called hidden water. When you calculate hidden water, one hamburger takes 650 gallons, one pound of chicken takes 500 gallons, one cotton shirt takes 650 gallons, one cup of coffee takes 35 gallons, one egg takes 50 gallons, one potato takes 100 gallons, and one orange 36 gallons. Wheat alone takes 12% of the global water used for crops, which is roughly 800 billion cubic meters of water. One computer chip (or gps, phone, TV, or camera chip) takes 19 gallons of water, and people made 3 billion chips in 2012. Even as climate change reduces the amount of water available to us, food production contributes about 30% of the atmospheric carbon load. Increased numbers of people and increased consumption will contribute to deforestation, desertification, and lost biodiversity. Can we double food production without speeding climate change? The irony is that we depend on climate stability for human food production, but in the act of producing more and more food we are destabilizing climate. Major floods have increased by a factor of 15 in Asia since 1950, and major fires have increased by a factor of 25 since 1950 in North America. So, we can’t really separate climate change and water distribution from other human endeavors. They interact synergistically. Climate change will greatly affect global precipitation patterns. Changes in temperature constrain precipitation amount and type through the water vapor content of the air. The water holding capacity of air increases 6 to 7% for every 1 degree Celsius increase in temperature. The Earth’s water cycle is of vital interest not only because of our dependence on fresh water, but also because it plays a central role in Earth’s energy cycle and climate. While one consequence of anthropogenic climate forcing is an increase in average global temperature, and thus the water holding capacity of the atmosphere, another consequence is an increase in evaporation over the oceans and evapotranspiration on land. Accordingly, the water cycle speeds up. Climate models predict an increase in global amount of precipitation by about 2% per 1ºC warming in global mean temperature. Climate models predict global warming will cause an increase in evapotranspiration if water is present. In the absence of precipitation, this leads to increased risk of drought in some areas, as surface drying is enhanced. A clear example is the deserts of the Horse Latitudes, where high pressure zones already limit precipitation. We also face increased risk of heat waves and wildfires in association with droughts; because once the soil moisture is depleted, all heating goes toward raising temperatures and wilting plants. Most precipitation does not come directly from local evaporation. Most moderate and heavy precipitation comes from convergence of moist air masses by storm winds that convey the moisture from remote regions into the storm that produces the precipitation. Because precipitation comes primarily from moisture convergence, an increase in atmospheric moisture means increased intensity of events: heavier rains and snows. Because heavy rains run off more than soak into the ground, soils can dry even with high precipitation. Precipitation intensity can also increase because released latent heat feeds back to invigorate the storm that causes the rain in the first place. The prediction, based on changing energy availability, is for lower frequency but higher intensity of storms, meaning longer dry spells between more extreme events. In drier areas of the world, longer dry spells between moisture events harden the ground which increases run-off during the high intensity storms. As a result, even if average precipitation per year is unchanged, but the new frequency and intensity may mean that less of the moisture is available to plants, effectively increasing drought conditions. The emerging pattern is that wet areas get wetter and dry areas get drier. Future tropical storms (typhoons and hurricanes) will likely become more intense, with higher peak wind speeds and heavier precipitation. The distribution and timing of floods and droughts is profoundly affected by the El Niño cycle, particularly in the tropics and over much of the mid latitudes of Pacific Rim countries. Small changes in sea surface temperature distributions are important in the tropics. The extremes of floods and droughts with El Niño become amplified with global warming. These events have enormous implications for agriculture, hydrology, and water resources. Climate change is also shifting precipitation toward the poles. Water vapor is transferred poleward from lower latitudes. This means increasing subtropical desertification. Extratropical storm tracks moving poleward will eventually change wind, precipitation and temperature patterns, likely magnifying the trends observed over the last half century. Agriculture will move northward to less productive soils. Research shows that higher carbon levels in the air will favor some plant species over others, and high levels of CO2 may reduce overall plant productivity. Along with higher temperatures at the poles, melting ice pouring into the oceans could affect existing ocean currents, further disrupting weather patterns. Indeed, the North Atlantic current has weakened by 15% and is the weakest it has been in 1,600 years. The last time the Atlantic current reversed, there were polar bears in southern England. Warming temperatures have raised sea levels about 6 centimeters in the last 23 years. Given that warmer weather melts ice, and warmer water expands, we can expect melting glaciers and polar ice to further raise the ocean level. NASA predicts that now we are locked into a 3-foot rise in oceans. Whether it goes beyond that depends on how humans respond. About 40% of the world’s human population lives within 30 miles of a coast, so rising sea levels will displace millions of people. Where will they go, given that so much of the land is already occupied? What if migration away from coasts exacerbates existing ethnic tensions? There are many ways that human numbers can shock the system. Water will be at the top of the list for many parts of the world, and greenhouse gasses will play a major role. We should consider rising greenhouse gas emissions as a symptom of a larger problem–our cultural belief that human population numbers can keep growing without harm, and that those with the means to do so can continue profligate consumption as if our resources were unlimited. Finite resources eventually run out. The Laws of Thermodynamics can’t be denied. If sustainable means “without negative impact on the future,” then we face many unsustainable trends. So far, we have been able to exhaust one resource and simply move to another. But Earth is a globe and if we keep gobbling what is in front of us, eventually we will arrive at our own back door. Emmott, S. 2013. Ten Billion. Vintage Books, a division of Random House. New York. Brian Miller is a conservation biologist who long served on the Wildlands Network (then Wildlands Project) board of directors and served as science director of Wind Valley Ranch north of Las Vegas, New Mexico. George Wuerthner is an ecologist and author of dozens of books on natural history and conservation issues. Both Brian and George will be on Rewilding’s list of Contributors and Envoys. Please see this list for contact information of Rewilding leaders available to speak, write, scout, agitate, or otherwise serve the wild world.